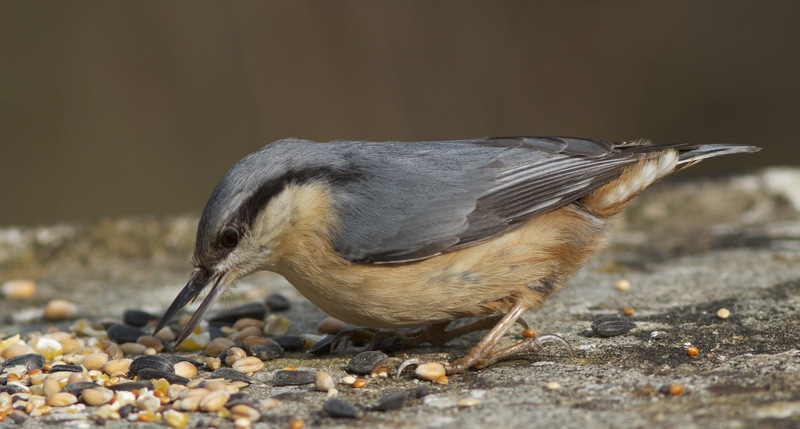 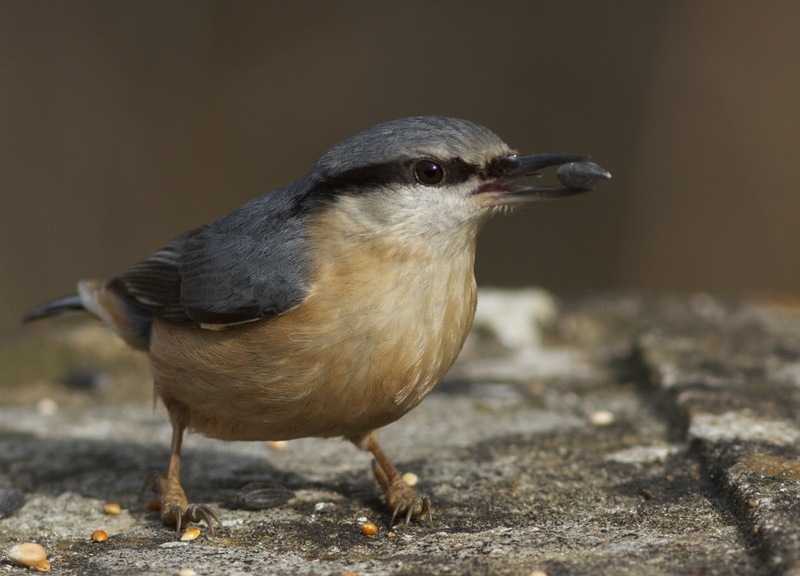 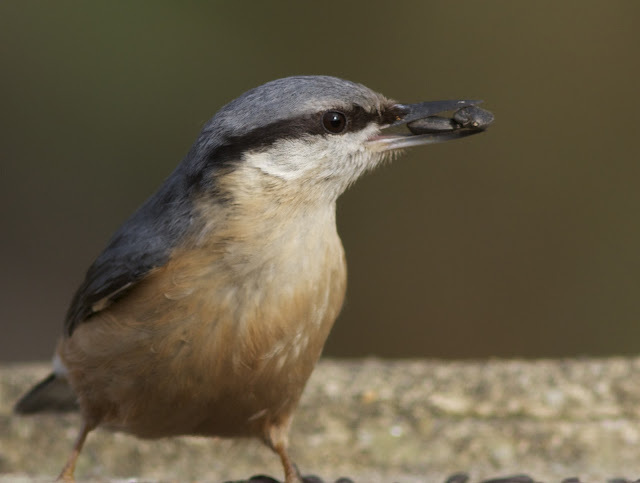 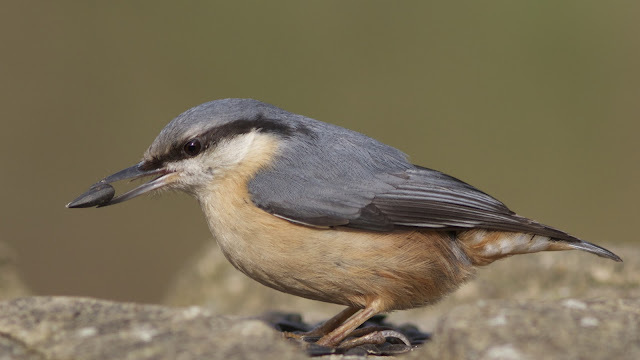 If you're not a fan of the Nuthatch look away now! Quite the ridiculous opening sentence really - surely everyone is a fan, what is there not to love about the Nuthatch? 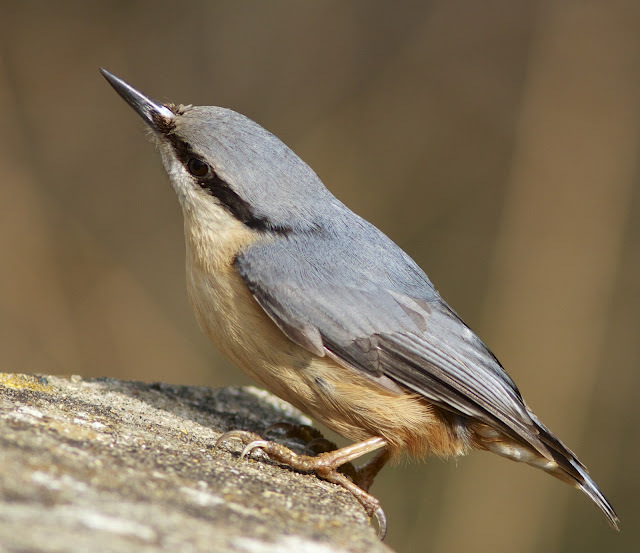 That distinctive angular shape, slate blue cap, mantle, and wings contrasting with the lighter buff coloured chest and underparts, that jet black extended eyestripe, the sharp javelin shape bill and the extraordinary vice like claws for spiralling head-first down a tree in its own unique feeding pattern, add in an unmistakable call and you have the makings of a truly amazing bird. I was fortunate enough to catch up with a couple of these birds at a feeding station in Thetford Forest, and enjoyed observing them at close quarters picking out their favoured black sunflower seeds amongst the wild bird food, whilst always aggressively keeping the other birds at bay - when a Nuthatch is at the table no one else is feeding! 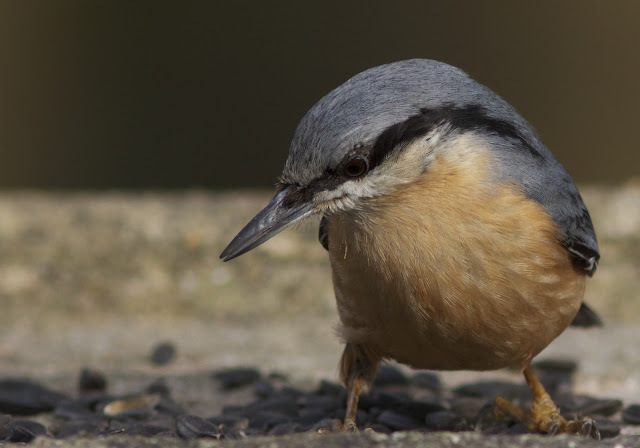 Below are just a few of the images I captured whilst watching this remarkable woodland bird.